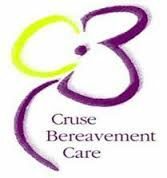 Provides bereavement support to any adult who needs it in our area. Most of us, at some time in our lives, will be faced with the death of someone we love or care very deeply about. When someone you love dies it can feel as though a piece of you has died too. But you don’t have to go through it alone. We are here to support you through one of the most difficult experiences you will ever have to face through our telephone helpline, groups and one-to-one sessions.